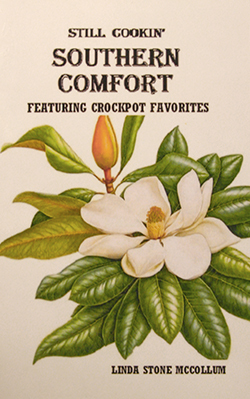 There are no fancy food photos, flashy layouts or fussy preparations in Madison resident Linda Stone McCollum’s latest cookbook, just 223 pages packed with easy, satisfying Southern comfort food. Readers will find a vast range of recipes suitable for snacking, entertaining and family mealtime. Most are simple enough for beginning cooks, and many use time-saving convenience foods. Some 50 pages are devoted to slow cooker recipes. 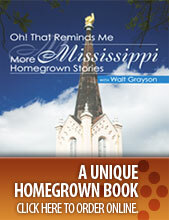 “Southern Comfort” cookbooks are sold at the Mississippi Craft Center, in Ridgeland. For mail orders, contact Linda McCollum at lsmccollum@comcast.net.